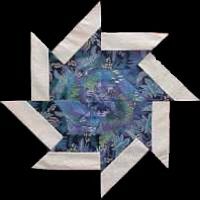 In this class you will construct a quilt top approximately 66 x 66 inches. You will learn proper techniques for squaring up fabric and blocks from strips using rulers and rotary cutters. You will also learn proper fabric preparation and cutting techniques. Come along and let’s get busy quilting! - Rulers - Ruler to cut long straight cuts (i.e. 6 X 12 inch) and a large square ruler is good (12 X 12 inch or bigger). Do not go out and buy these sizes if you already have one that will do. Do not buy squares with the center cut out, these are not for measuring. 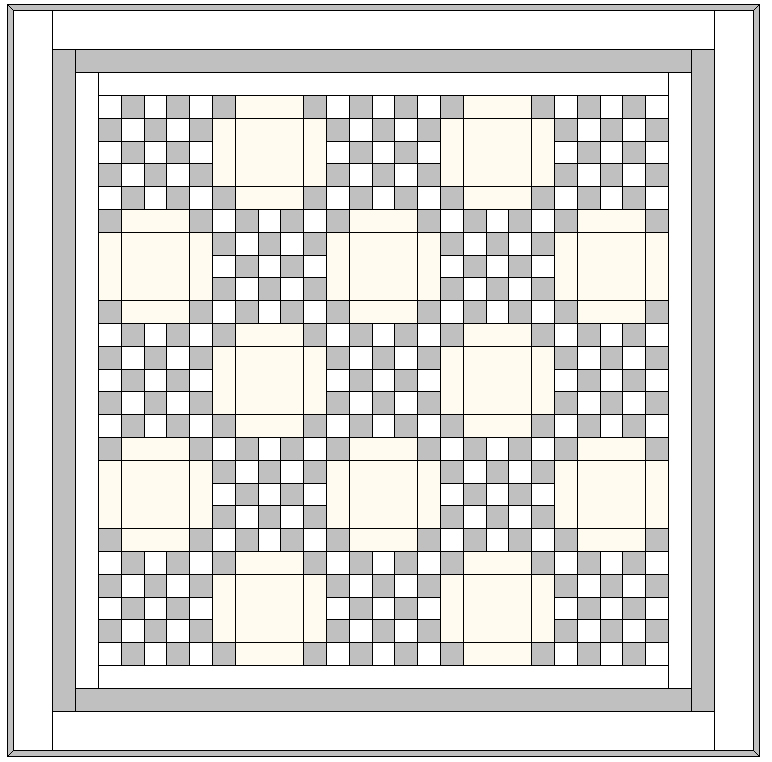 - Fabric (45" wide) - You will need two colors of fabric for our quilt. 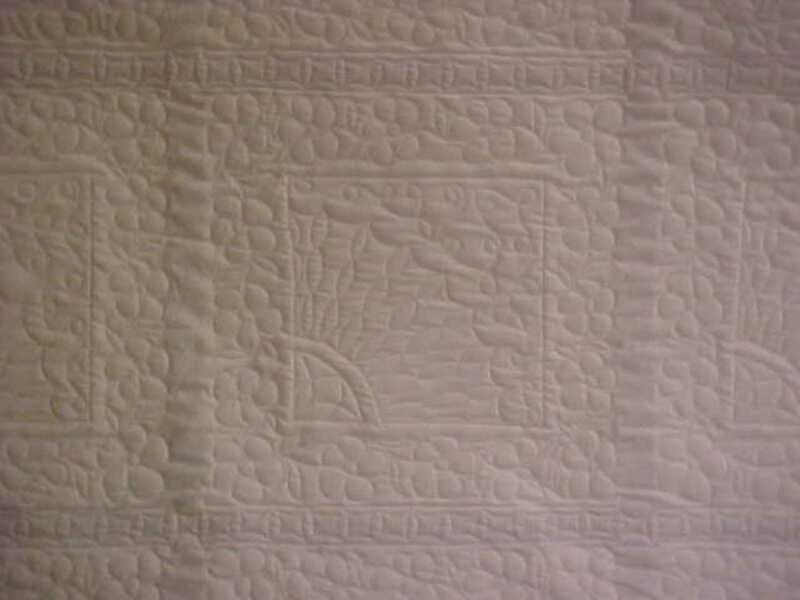 A light fabric and a pastel work great when you quilt this quilt! This must be 100% cotton, good quality material. Watch for stains, holes, or dry rot. Fabric should be just as it is cut from the bolt, with selvages intact. You may wash and dry the fabric if you wish.